I am currently in a “green eye makeup” phase. It is fall, and I just can’t stop myself from 'going green'. I hope you have already seen my “Olive green fall makeup” tutorial that I did few days back, and today I am here with the tutorial of another green eye makeup, “Green smokey eyes”. 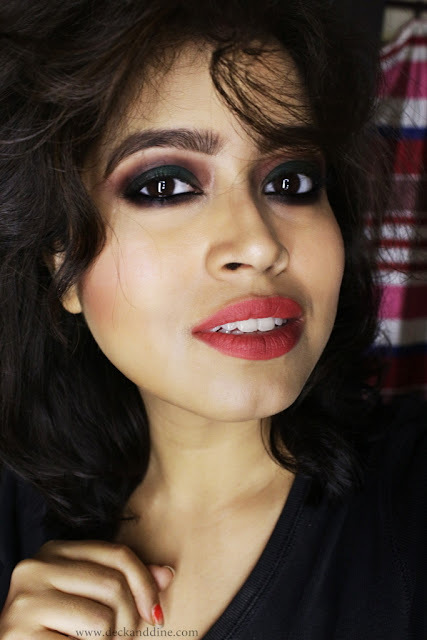 If you know me or have been following me on social media, you must know how much I love sporting smokey eyes; they accentuate my eyes like nothing else. Today’s eye makeup is a little different from the traditional black smokey eyes. Here I have incorporated colors to go with my fall mood. The look is simple, super easy to create and doesn't require a lot of products. So lets go through the breakdown. I always prefer doing eyes first, so that if there are fall outs, I can easily clean them off before doing my base makeup. Groom your eyebrows and apply a wash of skin colored eye shadow all over your lid, crease and brow bone to get rid of any oil residue. 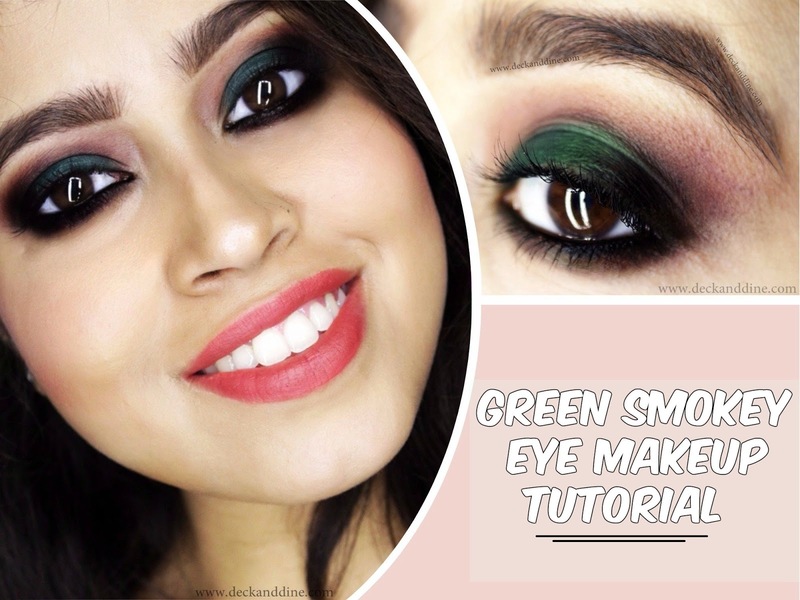 Pack some matte green eye shadow on the centre of your lid. Now pat matte black eye shadow on the outer lid. 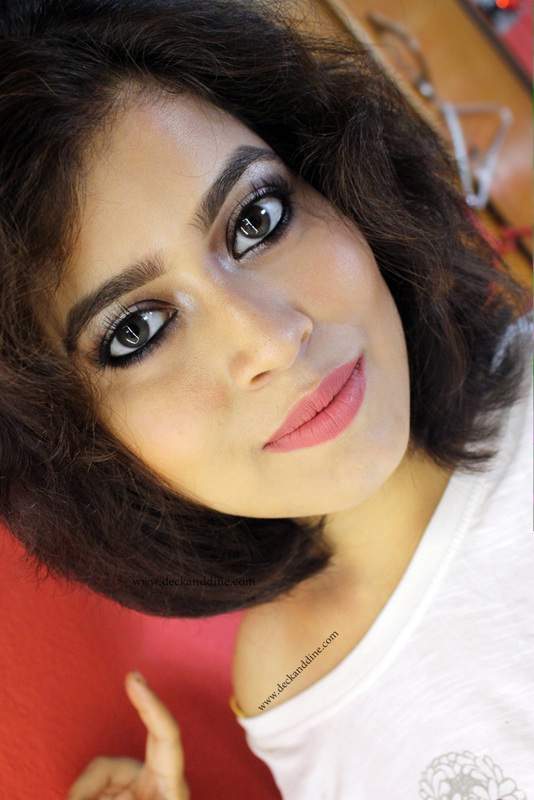 Take a fluffy brush, swirl over a matte plumy brown eye shadow and start swiping to and fro on the crease are blending any harsh lines. Pack on the colors again if you feel like. Now line your eyes with kohl, dip a pencil/smudging brush in the black shadow, pat off the excess and start smudging the kohl with it. Once you are done smudging your lower lash line, line your waterline again to have a crisp look. Apply loads of mascara to round off your look. 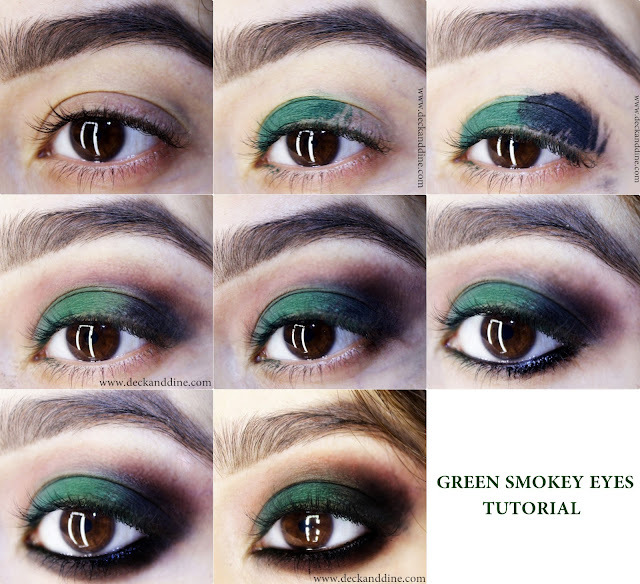 This eye makeup hardly takes 2-3 minutes to complete. All the eyeshadows are from Sleek Ulta Matte V2 palette. Clean off any fallout. Start by prepping your skin. Apply a moisturizer and also don’t forget your sunscreen if you are going out in the sun. Apply dots of your favorite foundation all over the face and blend with a wet sponge. This will give a dewy finish. Applied corrector and concealer under your eyes and on any discoloration on the face. My foundation is from Cinema Secrets and corrector and concealer are all from Kryolan Derma Pallet. I applied Sugar Cosmetics Plush Hour Matte Lipstick in Little Bo Peach on lips. 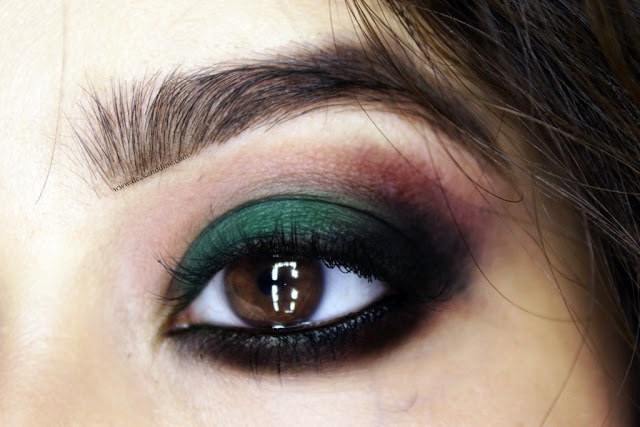 I think every season is green eyeshadow season! 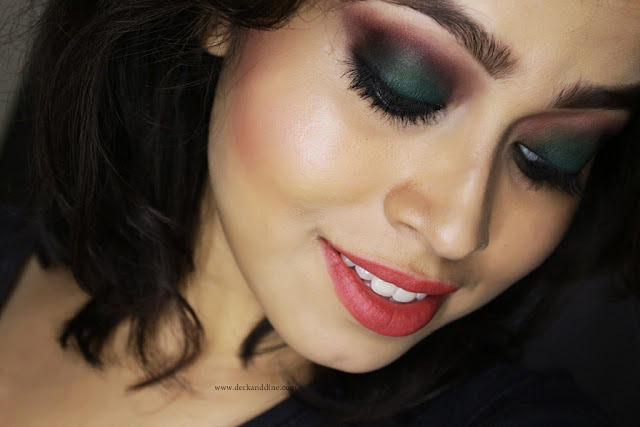 That green is stunning on you - what a gorgeous look! I should dig out my Sleek palettes and show them some love. wow, I am impressed with your blending skills!!! That eye look is gorgeous. I went through a green phase too but more of the golden greens and khakis. I loved having the option of new colors and should pull those out now that you've reminded me. Oh wow, that is a gorgeous green! 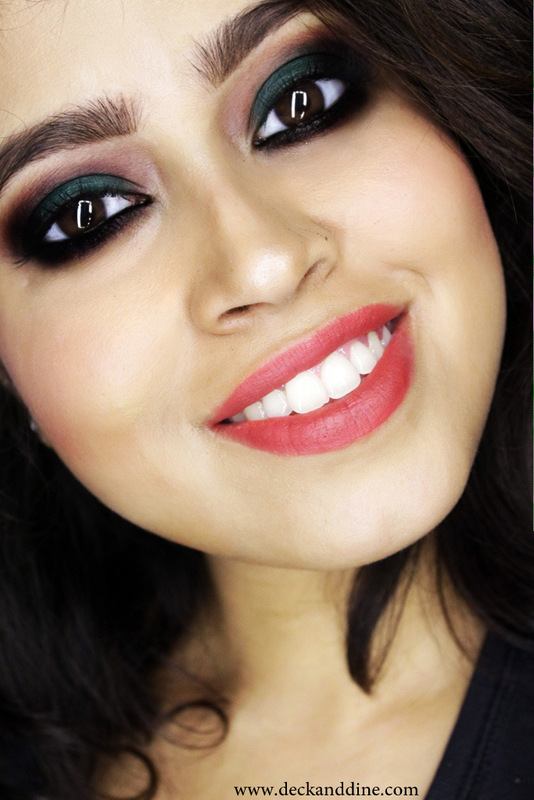 I don't think I have such a deep green eyeshadow, but I clearly need one! I like to do my eyes first as well! This is so pretty and perfect for upcoming holiday parties! OH my ! You have nailed the look. You are so talented. 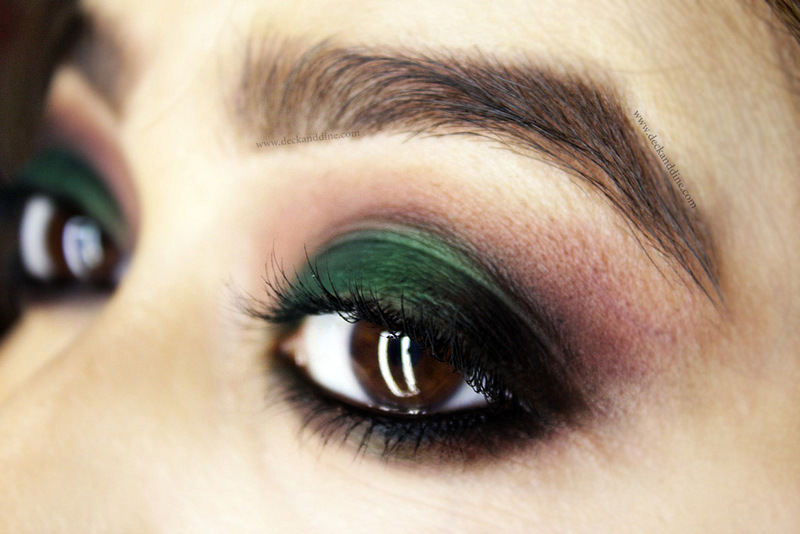 Which green eyeshadow did you use here?